Outdoor LED Signs is widely used in finance, taxation, industry and commerce, post and Telecommunications, sports, advertising, enterprises, transportation, education systems, securities markets and other fields, with media display, information dissemination, traffic guidance, creative display and so on. Outdoor LED screen general area is relatively large, usually in dozens of square meters to hundreds of square meters or even larger, with high brightness, angle of view, wind, rain, waterproof and other functions, we spend a large amount of gas installed this screen, of course, I hope it can use the longer, the more clear the play effect,So China outdoor led display manufacturer is essential share some outdoor LED Signs maintenance knowledge . 1, outdoor led large screen to maintain the use of the environment dry. The screen body is strictly prohibited to water, iron powder, such as easy to conduct metal materials. 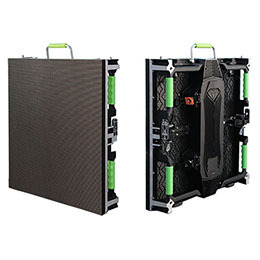 The presence of humidity in the outdoor led large screen power, will lead to corrosion of parts and components, resulting in permanent damage.The use of rain-proof measures. 2, to avoid possible problems, we can choose passive protection and active protection, as far as possible to the Outdoor LED Signs damage to the items away from the screen, and clean the screen as gently as possible to wipe the possibility of injury to the minimum. 3, Outdoor LED Signs to do cleaning maintenance work is also very necessary.Long exposure to outdoor environment wind, sun, dust and other easy to show dirt, a period of time down, the screen must be dust, which needs to be cleaned in time to prevent dust long time to cover the surface effect of viewing. 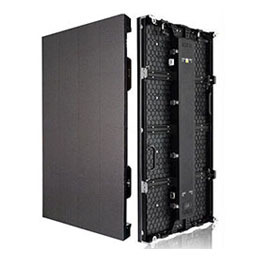 4, Outdoor LED Screen switch order, open the time, first open the control computer to enable its normal operation and then open the LED display.Close the screen before shutting down the computer. 5, the requirements of power supply stability, and good grounding protection in the harsh natural conditions, especially strong thunder and lightning weather do not use. 6, play not for a long time in all white, all red, all green, all blue, such as full bright screen, so as to avoid causing the current too large, power line heating too large, LED lamp damage, affect the display life.Do not arbitrarily disassemble, splicing screen body. 7, to regularly check whether the Outdoor LED Signs should be normal work, the line has no damage, timely replacement or repair of damaged lines, to maintain the normal work of large screen. 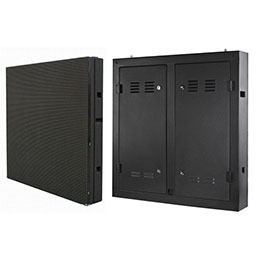 8, Outdoor led large screen master computer and other related equipment, should be placed in air-conditioning, micro-dust room, to ensure that the computer ventilation and cooling and stability work.